We have talked at length about skyscrapers and their fascinating photographs. However, from the perspective of a real-world scenario, skyscrapers unfortunately tend to cast long shadows on the neighboring areas and sidewalks – much to the inconvenience of people using those spaces. But as always, there is science that can account for a solution. 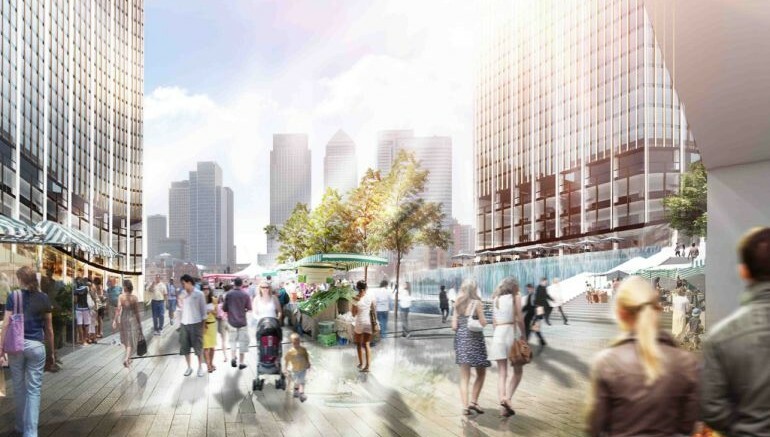 To that end, architects at the London-based firm NBBJ have come up with the notion of what can be termed as shadow-less buildings. This ingeniously contrived scope entails a pair of buildings that would reflect much of the incoming sunlight onto the adjacent spaces (areas where the shadows would have been cast). Of course, beyond just a concept, such an idea needs some details and complexity – so as to maintain the sunlight reflection mode during most time of the day. For this, the architects utilized a computer software known as Rhinoceros for the 3D modelling of the consequent buildings. This resulted in the rendering of one of the buildings designed like a gargantuan, curved mirror. This building would reflect the light onto the shadow formed by its southern counterpart – and, the specific curve of its glass surface would maintain the alignment of reflection all throughout the day. In other words, it is all about following the sun path and offering diffused reflection; as opposed to magnifying the sun-ray that can potentially cause harm to pedestrians using the building sidewalks. The ‘Rhinoceros’ was fed with many architectural data, including office and living space footprints; while the design software did respond back with many feasible solutions (along with some crazy ones). The designers sorted them all out, streamlined some of the design considerations, and finally tinkered with the final model structures to maximize the diffused reflection. This complex process resulted in a credible conceptual project that could potentially mitigate around a substantial 60 percent of building shadows. 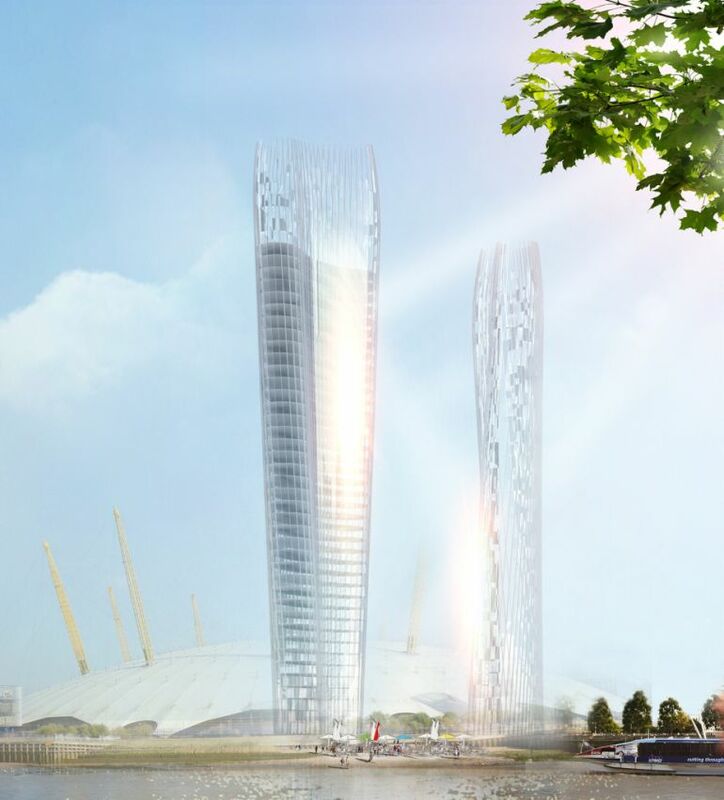 As a matter of fact, the renderings we see here are for a pair of towers in Greenwich, England. The good news is – the software is not limited to any specific geographic zone; it can be applied for a variety of shadow-mitigating scenarios for anywhere in the globe. This can be a major advantage when planning for the rapidly growing urban areas, especially in developing nations like China and India. And interestingly, the design scope doesn’t just belong to the realm of gimmicks – as is evident from a similar sunlight reflecting structure of Sydney’s One Central Park.